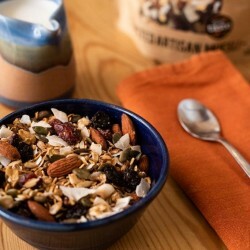 Artisan toasted muesli, a unique hand-toasted taste with a Lake District affinity. 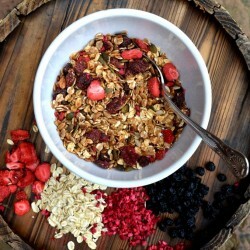 These delicious muesli blends boast a plethora of seeds, nuts and dried fruit, alongside a well-loved signature base mix. Both of the founders of Lakeland Mues, Tim and Luke, grew up with the Lake District as their playground and returned in September 2016 to set-up the business. 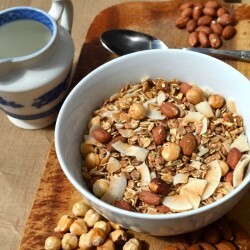 Their love of a hearty breakfast to keep them going on hikes through the hills meant they simply couldn't resist sharing their luxurious toasted muesli with the world. 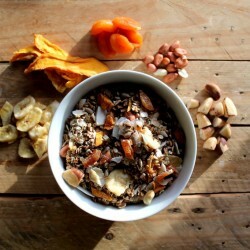 Their products combine the healthiness of muesli with the crunchy taste of granola and don't skimp on the premium ingredients. All of their mueslis are toasted by hand in small batches to maintain the quality required for a true artisan breakfast product.